The next release on Rinse comes from Laura Clock, with a four-track EP of spacious, melody-driven songs named Baby Part I. Laura Clock crafts a music that is alive with contrasts . Shimmery in tone yet shot through with powerful sub-bass and percussive trickery, her songs feel simultaneously weightless and overpowering, and pack a striking emotional resonance. Baby Part I marks the follow-up to her acclaimed 2013 debut First Prom, released under the name ButterClock . 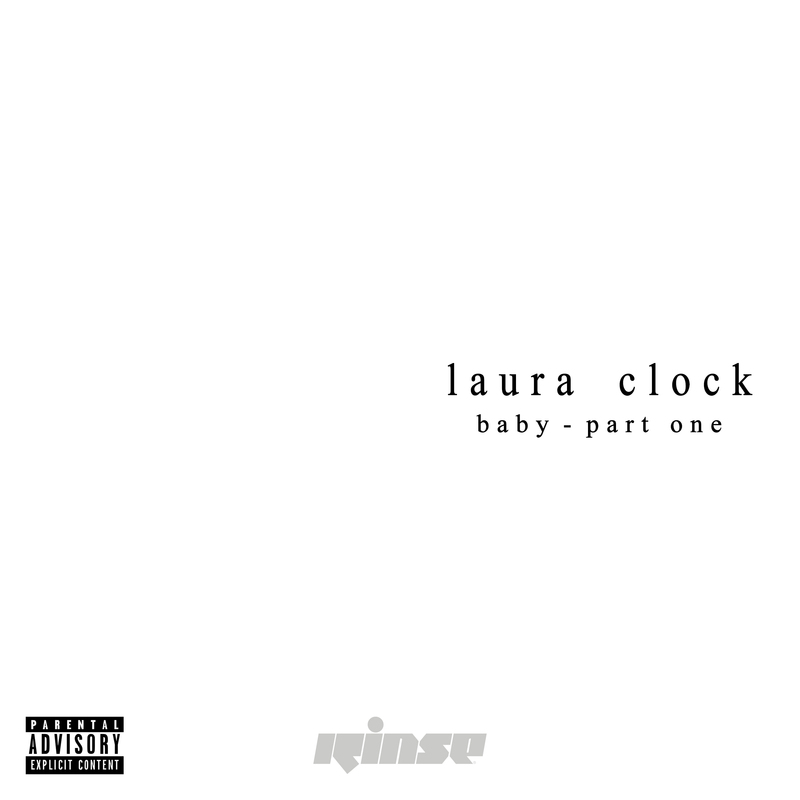 It was written, produced and recorded by Laura Clock over the course of 2014 following several years of near-constant touring, and explores similar lyrical themes to its predecessor – “ sad love , melancholia and dance beats,” as she puts it. Yet Baby Part I nonetheless finds her in a distinct sonic place: subtler, bolder and more expansive in vision. That shift is crystallized in lead track ‘Fade’, a translucent dancehall-of-mirrors of an electronic pop song that finds Laura Clock wandering through a maze of reggaeton rhythms and glassy-eyed melodies. The same sense of being adrift in sound and light runs throughout the EP. Exquisitely spaced-out ‘Fantasy’, produced by Ana Caprix, weaves sound, mood and lyrics into an inseparable whole – Laura Clock sings of becoming “lost inside” as her voice half-melts into its surroundings, swallowed up by chiming melodies and blinding-white synth drifts. ‘Cold’ is both moving and quietly uneasy, her lyrics delivered with an aching synthetic bite. Finally, ‘Slowly’ is a headlong soundclash between Laura Clock sorrow-laden voice, synthetic choral synths and crunching rap beats, featuring a fast-paced turn from rapper Nina B – the EP’s most striking moment and its dizzying emotional peak.